Your Metro Denver Real Estate Agent, Courtney Murphy. Courtney moved to Colorado at the age of four in 1979, practically a native. Growing up in the small town of Craig, Courtney experienced all the outdoor experiences that Colorado is known for, from camping to skiing and everything in between. 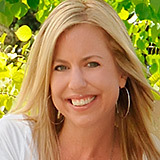 Courtney moved to Denver in 1993 to attend the Colorado Institute of Art where she received an associate degree in Fashion Marketing. Although Courtney never pursued a career in fashion, she did work a number of years in marketing, followed by several years in technology working as a System Integrator. And later, she spent over ten years in an executive position for a financial firm. Several years ago, Courtney was inspired by the listing agent on a house she purchased to pursue a career in Real Estate. With her past experience in business, marketing and technology Courtney has brought a diverse skill set with her into her career as a Realtor. 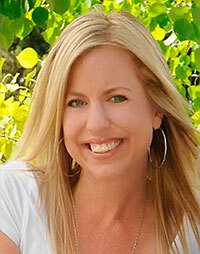 Courtney lives in the Denver suburb of Parker, Colorado with her son, Hunter and dog, Brody. When she’s not out selling houses, she enjoys hanging out with her son, spending time outdoors, travelling and shopping. She is also an active member of her community and her church. Buying or selling a home can be emotional and possibly stressful. My goal is to guide clients through the transaction making it as smooth and enjoyable as possible. Communication: Communication is key! I make sure clients are fully informed and understand details relating to the purchase or sale of their home. I make it my priority to answer my phone when clients call and return calls in a timely manner. I also feel this is equally important when dealing with other agents, loan officers, inspectors, appraisers, etc. Quality of work: I truly believe in a job well done! I commit to providing my clients the highest level of quality of work. Integrity: Plain and simple: do the right thing!